HTC today quietly announced the international variant of the Droid DNA, which it is calling HTC Butterfly for the global audience. The device was first announced as the HTC Butterfly J in Japan and was rumored to be called HTC Deluxe. The Butterfly’s calling card is its 5-inch 1080p display, which we believe will have the highest pixel density on any smartphone in the world. Read on for more details. Apart from the display, the Butterfly features a 8-megapixel camera with a 28mm lens, F2.0 aperture and a backside illuminated sensor, which should give it better low-light performance. Then there is the 2.1-megapixel front camera that can shoot videos in 1080p resolution. As will most top-end HTC smartphones, it comes with a dedicated ImageChip for zero shutter lag and faster image processing. HTC has also added five levels of flashlight that is automatically set depending on the distance from the subject. 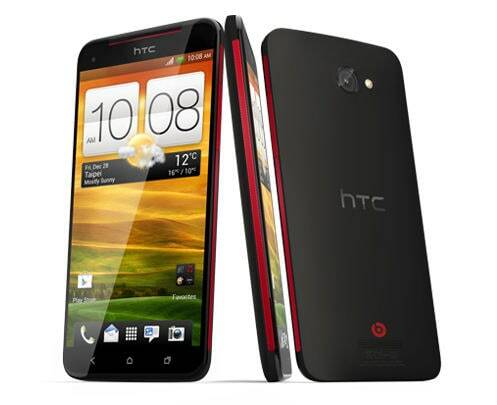 The HTC Butterfly runs on Qualcomm’s Snapdragon S4 Pro quad-core processor clocked at 1.5GHz and comes with 2GB RAM and 16GB of internal storage with a microSD card for good measure. HTC has not revealed what version of Android it runs but we are assuming it would be running Android Jelly Bean 4.1. No word on pricing or availability either.